2012. 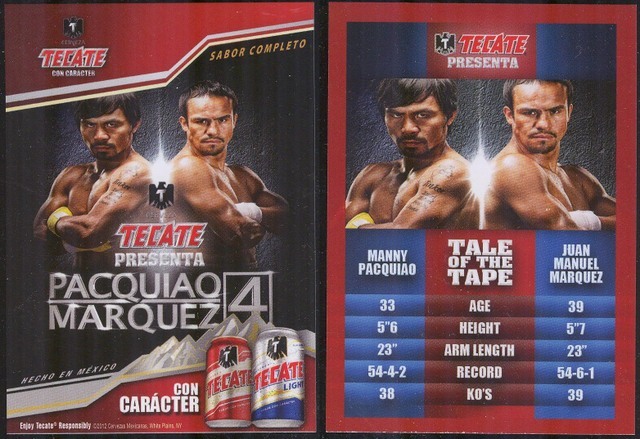 Tecate made a true boxing card for Pacquiao-Marquez 4. Fits right into standard holders, even has stats. I hope they make this style of card regularly.